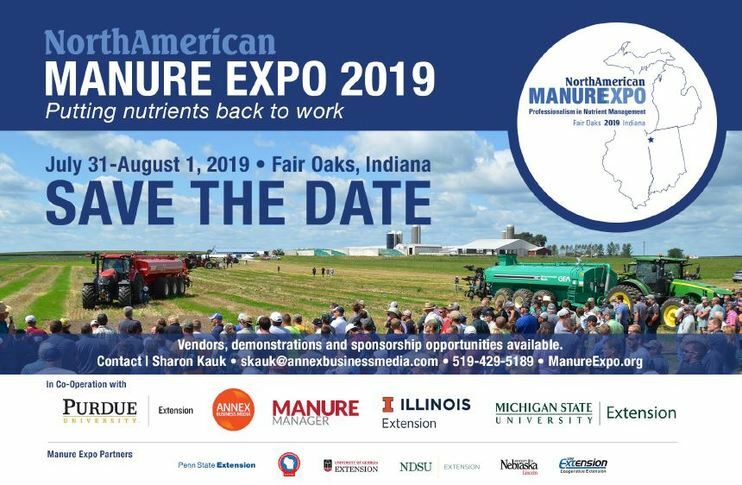 Thank you for joining us at the 2019 Midwest Manure Summit. Below you will find the presentations and any supplemental materials that our speakers provided for the Summit. Jay Richardson, owner and operator of Son-Bow Farms in Spring Valley, WI milks 1,300 cows and operates 2,400 acres. In 2018 his farm became the first in Wisconsin to install AQUA Innovations’ NuWay nutrient concentration system. The objective of the system is to concentrate a farm’s nutrients and discharge clean water to lower manure handling costs. The proprietary system is capable of reclaiming over 50 percent of manure as distilled water without use of harmful chemicals. Jay will be presenting on the successes and challenges he has encountered.